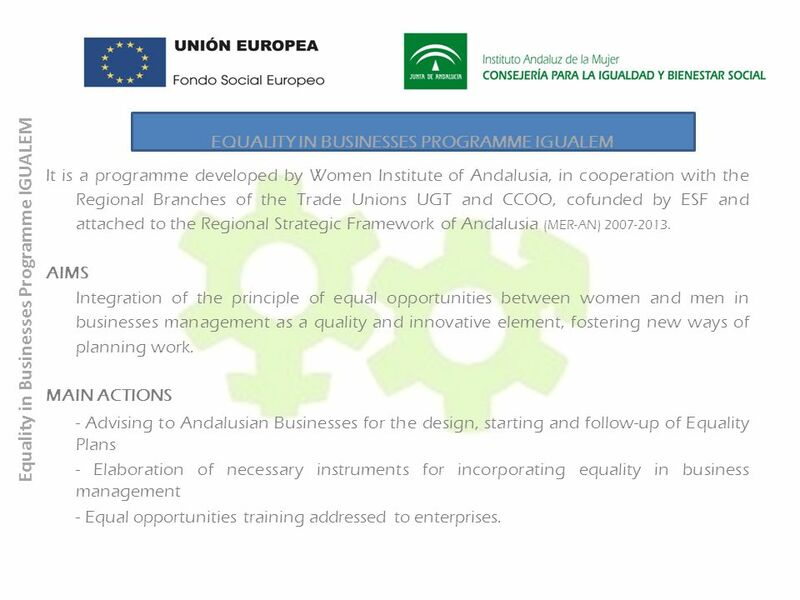 It is a programme developed by Women Institute of Andalusia, in cooperation with the Regional Branches of the Trade Unions UGT and CCOO, cofunded by ESF and attached to the Regional Strategic Framework of Andalusia (MER-AN) AIMS Integration of the principle of equal opportunities between women and men in businesses management as a quality and innovative element, fostering new ways of planning work. 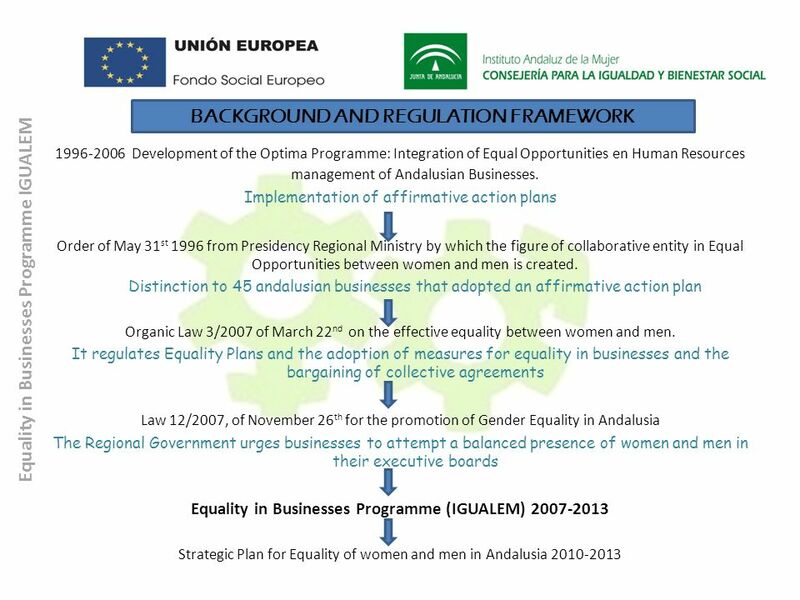 MAIN ACTIONS - Advising to Andalusian Businesses for the design, starting and follow-up of Equality Plans - Elaboration of necessary instruments for incorporating equality in business management - Equal opportunities training addressed to enterprises. 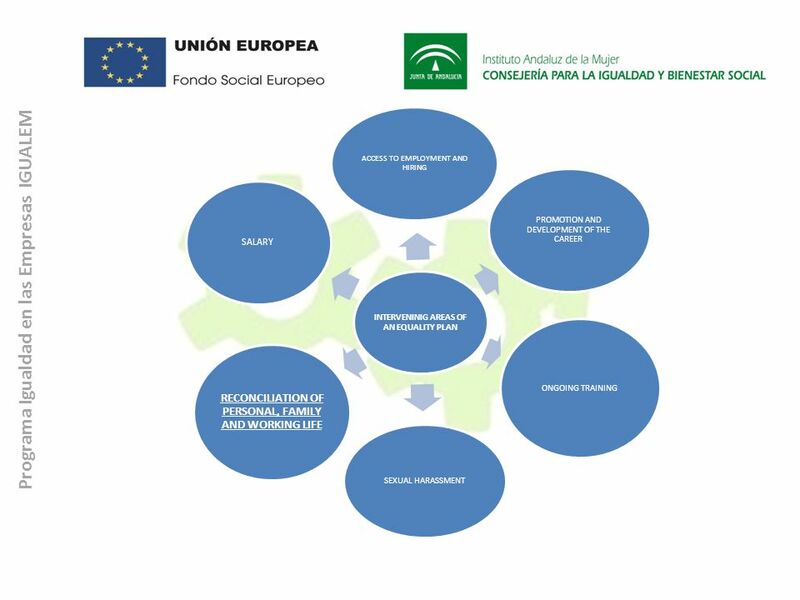 Inclusion in the collective agreement of those questions related to permissions and leaves in terms of reconciliation. Flexitime (in starting and finishing hours) to make compatible working hours with school and nursery’s timetable. Establishment of grants for nurseries or signing agreements with centres for children’s care. Grants for expenses in taking care for children or dependent people during training courses, when these courses are out of working hours. 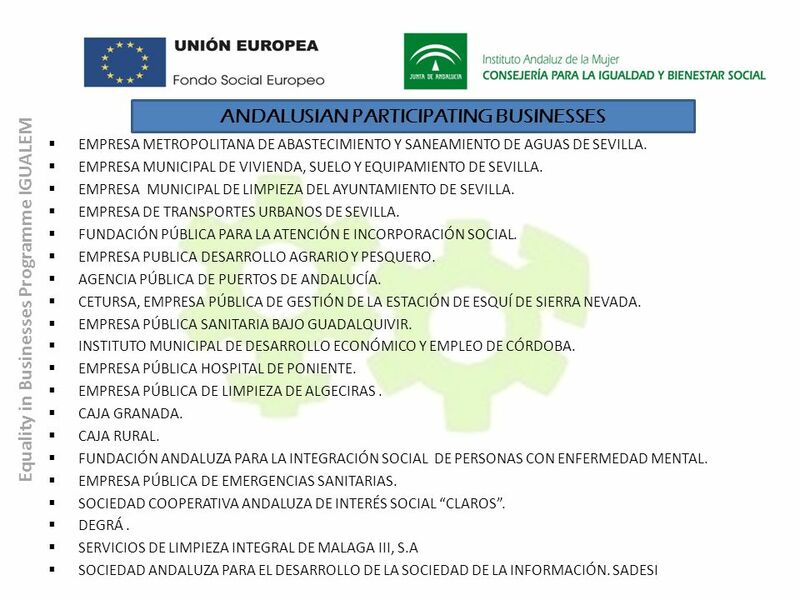 Creation of a labour exchange list with experts in assistance and caring or dependent people. Offering the possibility of accumulating breastfeeding hours to make use of them in a flexible way. Offering paid leaves for medical visits and for accompaniment of children or dependent people. 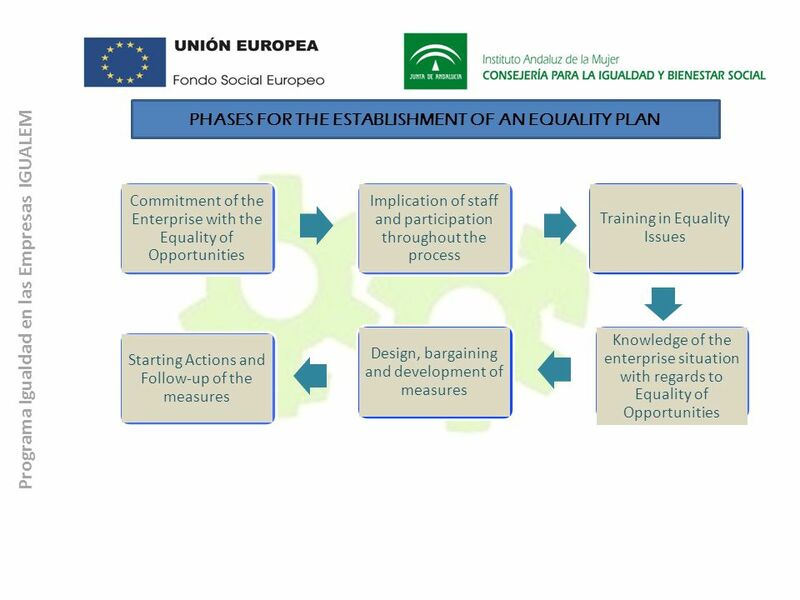 Descargar ppt "Equality in Businesses Programme IGUALEM"
Teaching in the Target Language. Sample of Story Focus for Vocabulary Acquisition Isabel veía películas románticas. -¿Veía Isabel películas románticas? CAMPANYA DE LA XOCOLATA El 35-40% del chocolate que comemos viene de Costa de Marfil. Miles de niños son traficados hasta las plantaciones. Reclama que.